Carol Poore is President and Founder of Phoenix Phabulous Experience™. Her company is piloting urban placemaking, arts, culture, storytelling and civic engagement experiences in partnership with government, community developers, and arts/culture, higher education, and nonprofit organizations. Her primary field of research focuses on community development and how vital networks create healthy and vibrant communities and urban revitalization. Other areas of interest include leadership for change, community placemaking, social capital, and career vitality. Dr. Poore served as president and CEO of Phoenix-based Southwest Center for HIV/AIDS, the only nonprofit HIV/AIDS service organization in the United States providing integrated clinical trial research, prevention, and chronic disease wellness services to serve a population of four million. From 2007 to 2013, she led the successful development of an innovative, 55,000 square-foot community health and research center in Downtown Phoenix and raised more $23M to establish the Parsons Center for Health, Education and Wellness. From 2002 to 2007, Dr. Poore served as Vice Provost of Institutional Advancement and Public Affairs at Arizona State University’s West campus, overseeing a department responsible for all aspects of community outreach, fundraising, marketing, and branding. From 1997 to 2002, Dr. Poore served as Director of Communication for New West Energy, a separate affiliate of Salt River Project (SRP), the nation's third-largest public power electric and water utility based in Phoenix, Ariz. In total, she spent 16 years at SRP in business start-up, strategic planning and public affairs leadership positions. Dr. Poore received her Ph.D. in Public Administration from Arizona State University. She earned her master’s degree in business (MBA) from ASU, and holds a Bachelor of Science degree in Broadcasting and Journalism from ASU. Her book, “Building Your Career Portfolio,” was published in 2001 by The Career Press and is available in English, Korean, and German languages worldwide. 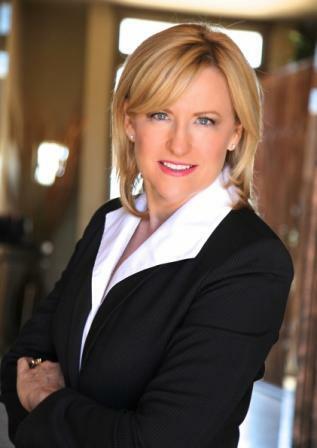 Dr. Poore’s most current community leadership includes serving as vice chairwoman of Plan PHX, a City of Phoenix public commission shaping the 10-year General Plan, Paradise Valley Hospital Board of Directors (Tenet Healthcare), Phoenix Community Alliance Board of Directors, and on numerous advisory/philanthropic boards for Arizona State University. A member of Arizona BioIndustry Association (AZBio), she also is an accredited member of International Association of Business Communicators (IABC). Poore has chaired Valley Leadership’s Board of Directors and served on the Fiesta Bowl Committee for more than 25 years. Leadership, and leadership for change. Downtown urban development and vitatility, with emphasis on the role that social capital (networks and relationships) serves in facilitating community improvement and change. Career flexibility, career vitality, and building a vibrant career and leadership portfolio through a variety of career investments (using her book as a workshop and presentation resource, Building Your Career Portfolio). Serving on a board of directors -- effective board governance.